How Can Heat Pumps Help You Save Money? The cost of installing and running various kinds of heat pumps differ in some ways. Geothermal heat pumps are costlier to install compared to air source heat pumps since ground source pumps will require you to dig down to a certain heat source. It will also require you to work with more complicated heat transfer systems. That can also be more expensive based on your property’s terrain. Your expenses can range between $5,000 and $7,500 if you want to have a ground source heat pump system. Air source heat pumps are cheaper options that cost between $1,500 and $4,000. These units are simpler and can easily be installed. The amount you need to pay to operate and repair a heat pump depends on the type of system you have. It is less expensive to operate a ground source heat pump since the water and the ground have a constant temperature that lets the heat pump to operate effectively. Ground source units likewise have the benefit of not being subjected to the weather outdoors, thus preventing too much wear and tear. On the other hand, they can be quite expensive to repair especially if you have to access the underground part of the unit. Air source units are easy to service and access. However, they might require more constant maintenance since they are constantly exposed to the elements. Additionally, air source heat pumps might utilize more supplemental energy to operate, particularly in areas with colder climates, and this will lead to a higher utility bill. Florence heat pumps can help you save between 30% and 40% or more on your utility bill. However, neglecting the heat pump can lead to the unit’s reduced efficiency. It is important to consider the climate where you plan to use the heat pump so that you can choose the right system that will run efficiently in your area. Provided that you install the best and most appropriate kind of heat pump, this unit can help you reduce your utility costs. Always remember that it is better to hire a professional HVAC contractor to fix your heat pump problems. Heat pumps may contain hazardous materials and that means it needs to be dealt by professionals only. A chemical leak for instance, is already bad news. You don’t want to make things worse by injuring yourself because you didn’t know how to handle the broken device correctly. A heat pump can last for as long as three decades, and geothermal units top the list when it comes to longevity. As a matter of fact, some parts of ground source heat pump may even last longer. 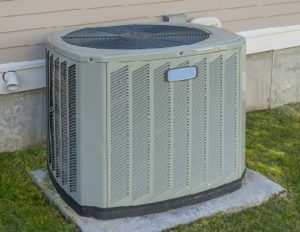 Keep in mind that today’s technology can quickly change even before your heat pump has worn out and that means your unit may even outlast the ability of your Florence HVAC Experts to maintain and repair it. Furthermore, keep an eye out for brand new types of heat pumps especially the ones that are safer and more effective. Call Florence HVAC Experts if you need help installing, fixing, or replacing your heat pumps.